LVMH Moët Hennessy Louis Vuitton, the world’s leading high quality products group, recorded revenue of 10.9 billion Euros for the first quarter 2018, an increase of 10%. Organic growth* was 13% compared to the same period of 2017, an increase to which all business groups contributed. It was 15% excluding the impact of the termination of the Hong Kong International Airport concession at the end of 2017. Asia, the United States and Europe experienced good growth. * with comparable structure and exchange rates. The currency effect is -10% and the structural impact is + 7%. ** + 16% excluding the termination of the Hong Kong International Airport concession. The Wines & Spirits business group recorded organic revenue growth of 10% in the first quarter of 2018. Champagne volumes rose by 1% over last year, driven by its main markets and Prestige cuvées grew the fastest over the period. In a context of supply constraints, Hennessy cognac volumes increased by 5% while maintaining its high quality. China and the United States posted growth in line with the trends seen in the second half of 2017. The Fashion & Leather Goods business group achieved organic revenue growth of 16% in the first quarter of 2018. Driven by its continued strong creative dynamic in all its businesses, Louis Vuitton made a remarkable start to the year. Its latest fashion show at the Louvre museum in Paris received a warm welcome. Virgil Abloh was named Men’s Artistic Director. Christian Dior Couture, which was consolidated into the Group in July 2017, turned in an excellent performance and appointed Kim Jones as Artistic Director of Dior Homme. Fendi and Loro Piana grew rapidly in ready-to-wear and shoes. Hedi Slimane has joined Céline as Artistic, Creative and Image Director. The other Maisons continued to progress. In Perfumes & Cosmetics, organic revenue increased 17% in the first quarter of 2018. Parfums Christian Dior once again saw strong growth momentum, fueled by the continued vitality of its iconic perfumes J’adore and Miss Dior, and by the continued success of Sauvage. Makeup and skincare also contributed to the superb performance of the brand. Guerlain benefited from the roll-out of the new Mon Guerlain perfume and from its significant advances in skincare, particularly its Abeille Royale range. 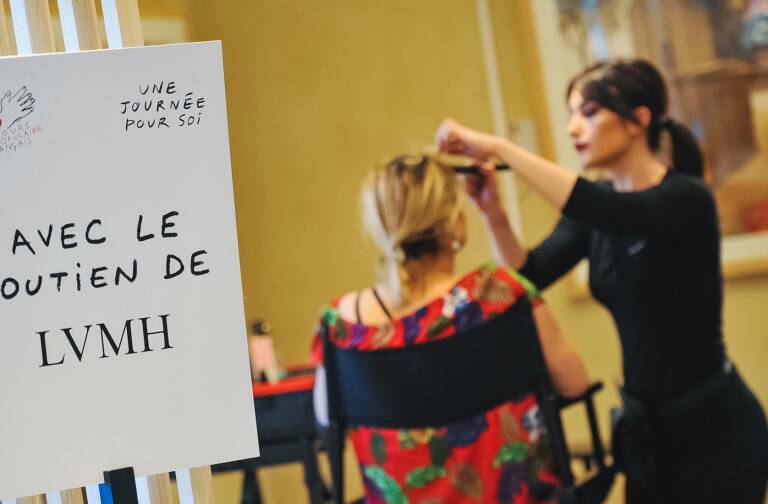 Parfums Givenchy, Benefit and Fresh saw sustained growth, as did Fenty Beauty by Rihanna, which was launched in 2017 and has been an exceptional success. In the first quarter of 2018, the Watches & Jewelry business group recorded organic revenue growth of 20%. Bvlgari enjoyed an excellent performance and continues to gain market share thanks to the strength of its iconic lines Serpenti, B.Zero1, Diva and Octo. Chaumet unveiled its new high-end jewelry collection. 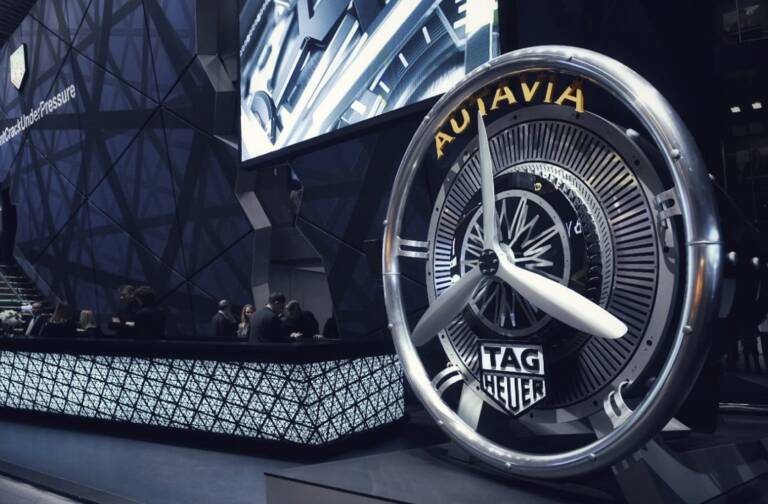 The innovative products presented by LVMH’s watch brands at the Baselworld Watch and Jewelry Fair were very well received, including Hublot’s Big Bang Sapphire Tourbillon, Bvlgari’s Octo Finissimo Automatic Tourbillon and new models in the iconic Monaco and Carrera lines at TAG Heuer and Defy at Zenith. In Selective Retailing, organic revenue rose 9% in the first quarter of 2018 or 16% excluding the termination of the Hong Kong International Airport concession. Sephora continued to gain market share around the world, offering an ever more innovative and interactive experience to its customers. The new store concept continued its roll-out, particularly in France with the inauguration in the first quarter of a flagship store in the Saint-Lazare district of Paris. Online sales grew rapidly all over the world. DFS enjoyed an excellent start to the year, performing particularly well in the T Gallerias in Hong Kong and Macao. With an offering adapted to suit the demands of international travelers, the recently opened stores in Cambodia and Italy also showed strong performance. 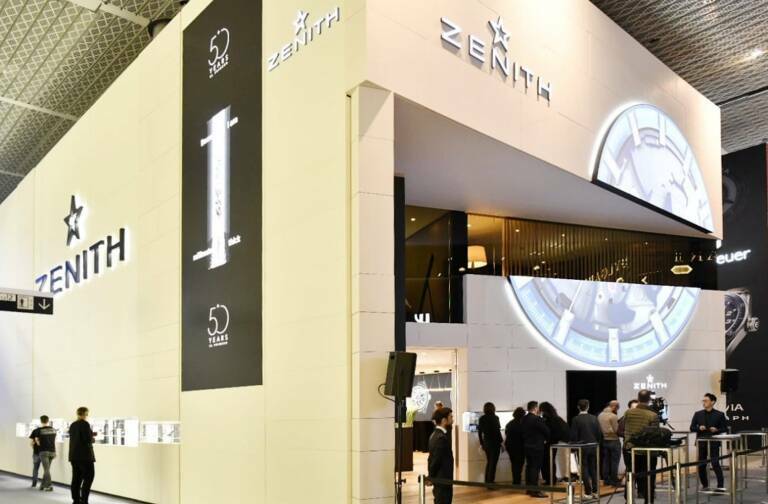 In the buoyant environment of the beginning of this year, albeit marked by unfavorable exchange rates and geopolitical uncertainties, LVMH will continue to focus its efforts on developing its brands, maintaining strict control over costs and targeting its investments on the quality, excellence and innovation of its products and their distribution. The Group will rely on the talent and motivation of its teams, the diversification of its businesses and the geographical balance of its revenue to reinforce, once again in 2018, its global leadership position in luxury goods.